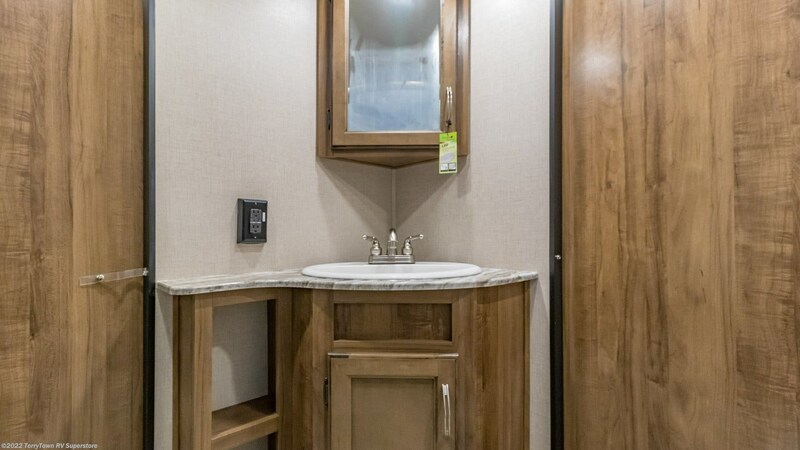 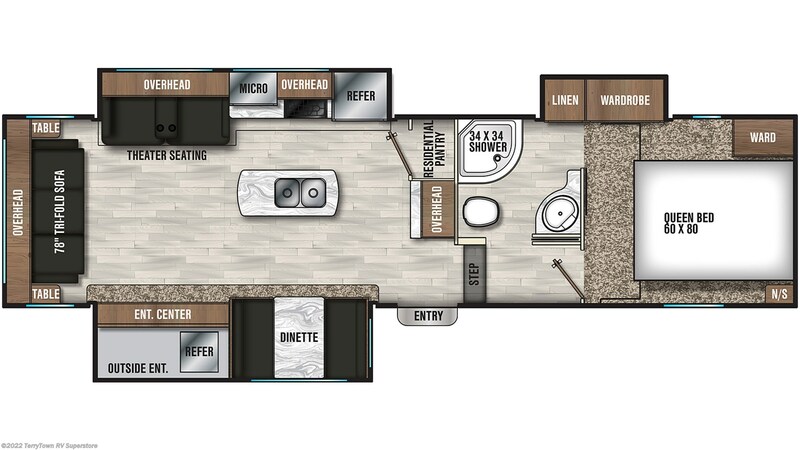 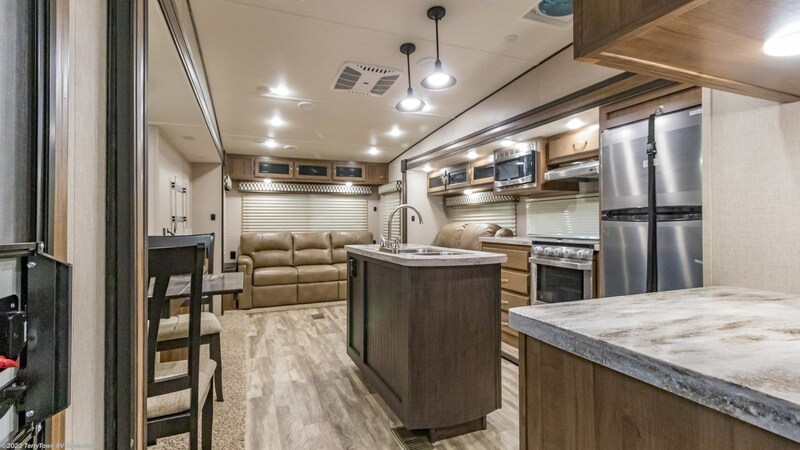 The beautiful bathroom in this RV means no more treks through the campground in the rain, or the cold, or the dark to the messy, damp, and chilly public bathrooms! 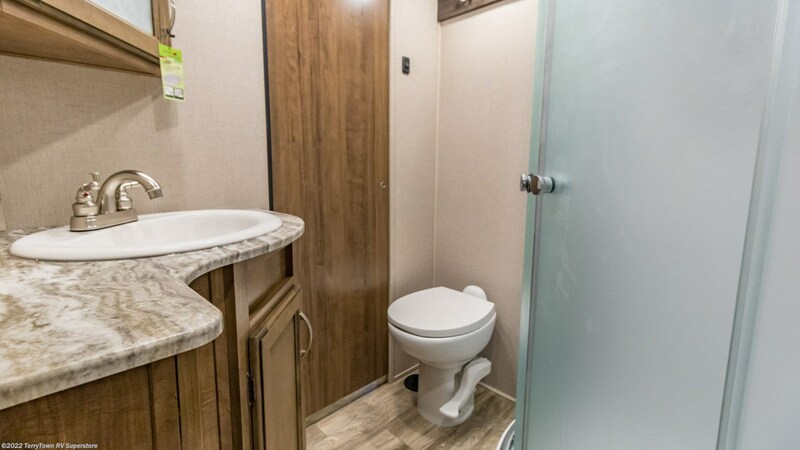 You'll enjoy the convenience, comfort, and privacy of your own modern shower, handsome sink vanity, and sleek, sanitary Foot Flush commode! 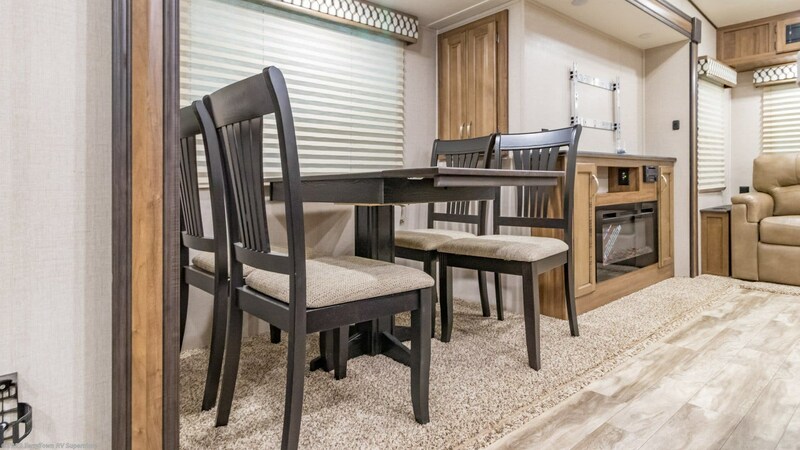 The 66 gallon gray water tank and 33 gallon black water tank store all the used water and waste, so you don't have to deal with it while you're having fun on vacation!andnbsp;When you want to host a cookout, you'll have the perfect way to do it thanks to the handy outdoor kitchen in this RV! 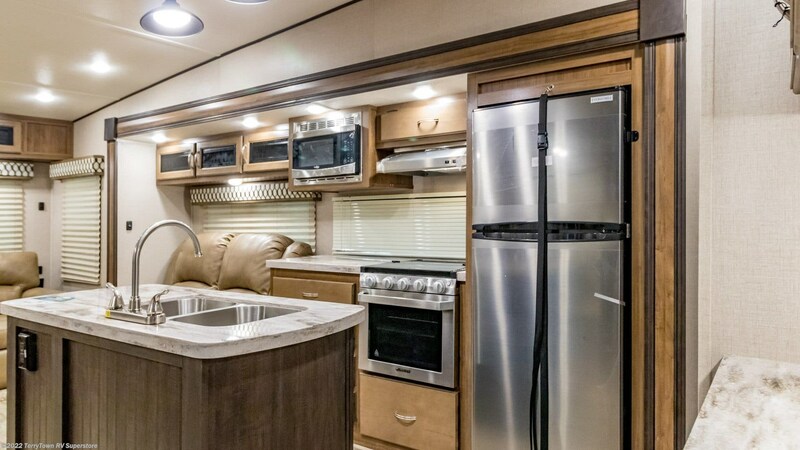 It opens easily, and you'll cook up great tasting meals for the family or guests in no time, all with that great outdoor taste! 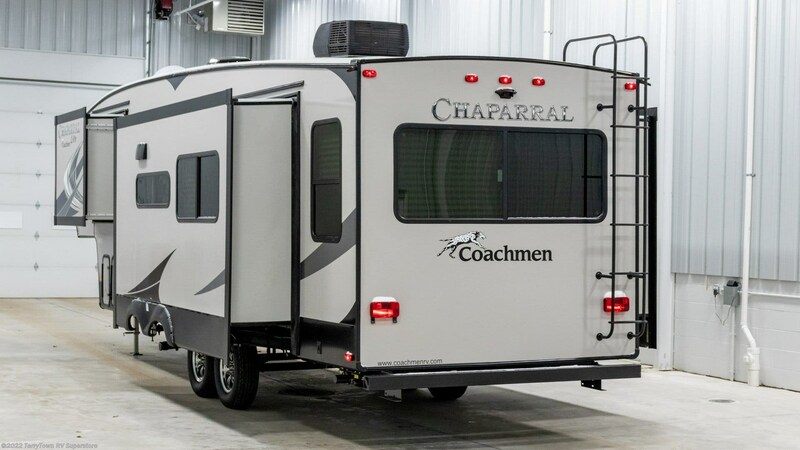 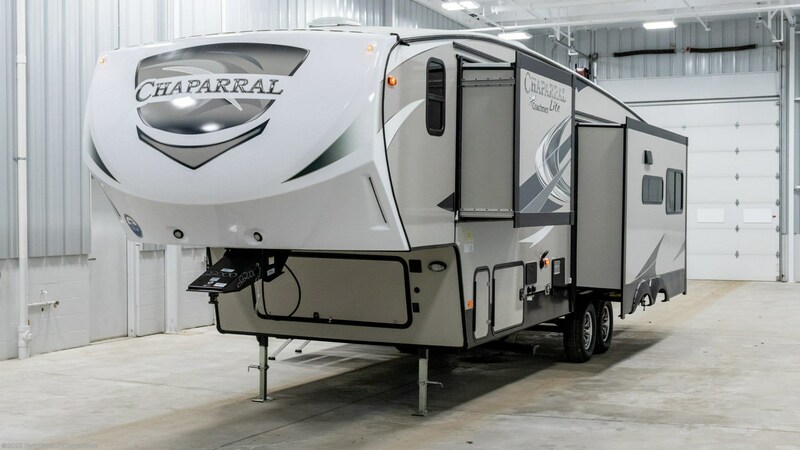 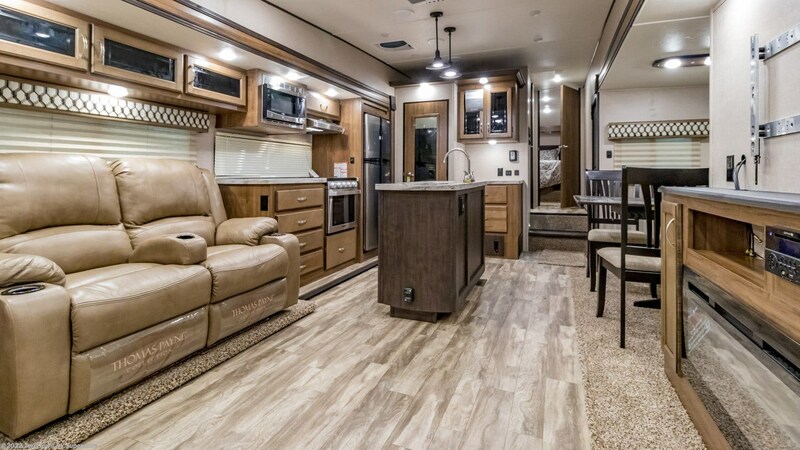 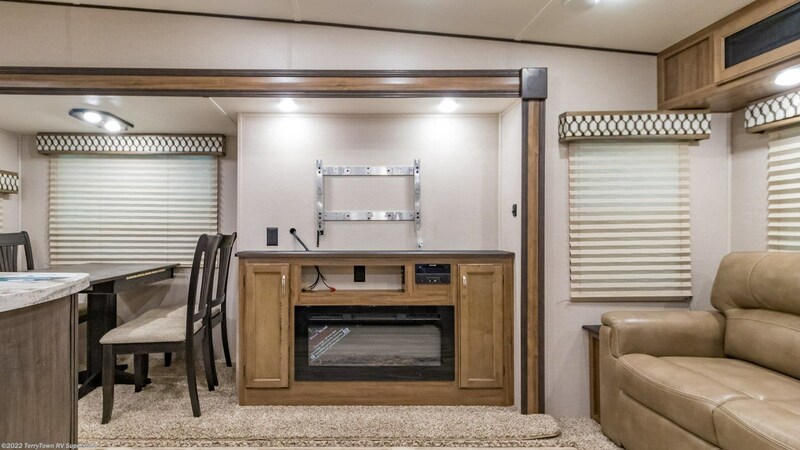 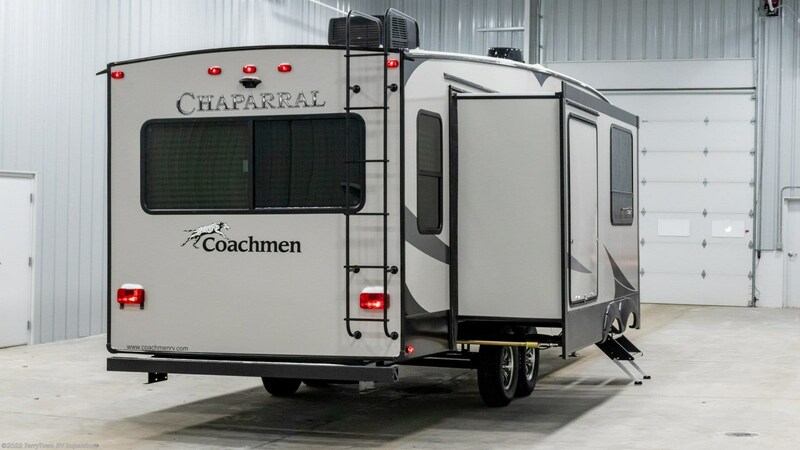 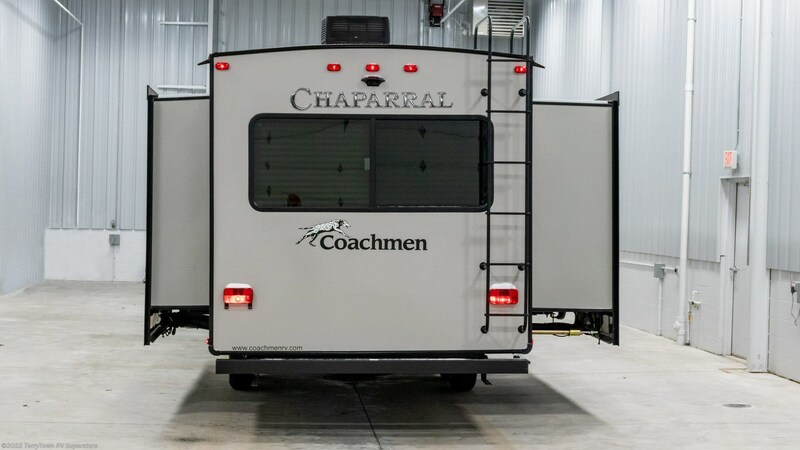 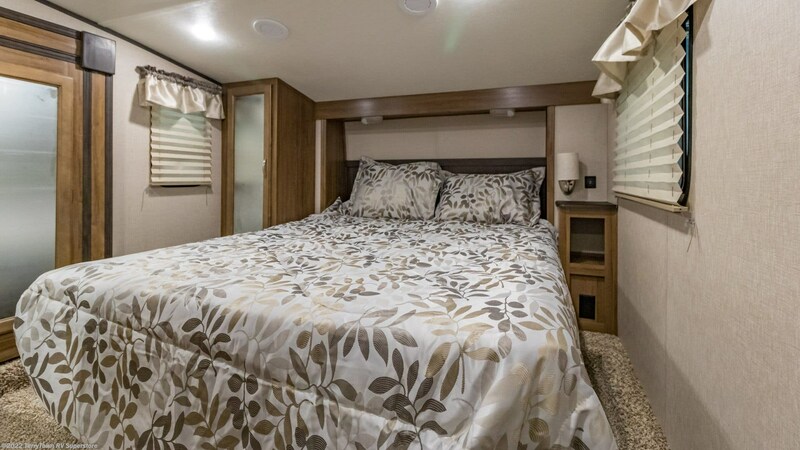 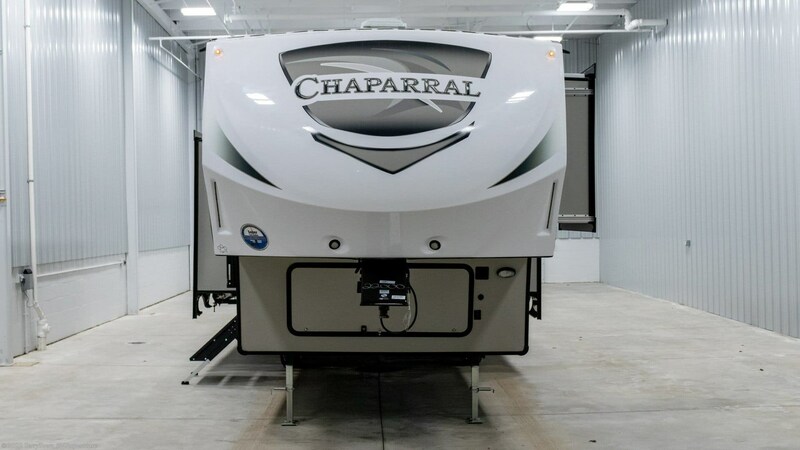 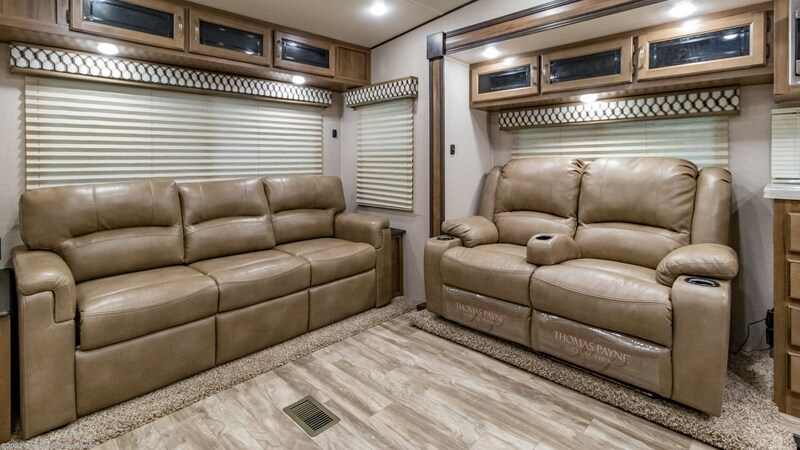 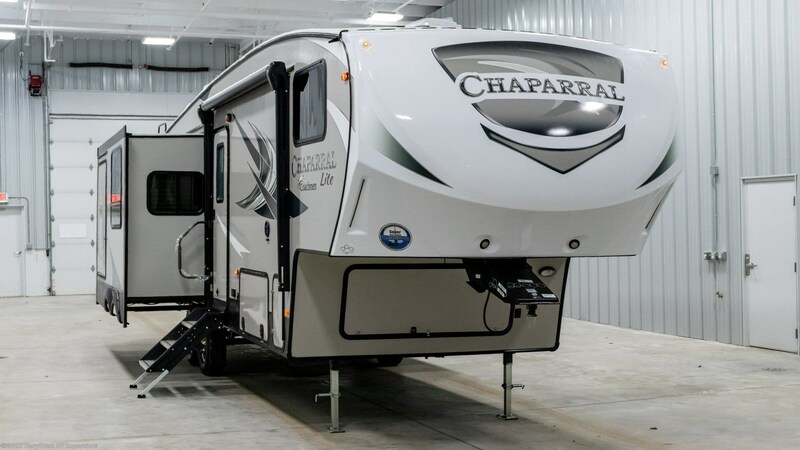 Check out Stock # 36134 - 2019 Coachmen Chaparral Lite 285RLS on coachmenrvsource.com!